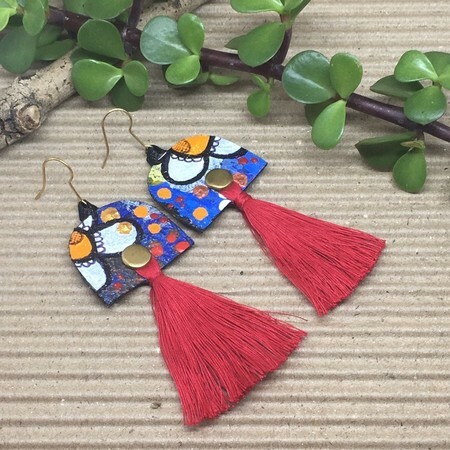 Bright flowers and on trend tassels make this fun summery wearable art a great addition to your jewellery collection. This piece is hand painted and made from reclaimed canvas, and tassels made from reclaimed sewing cotton. Item includes postage within Australia. Additional will be required for International Postage.